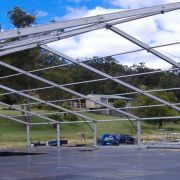 Build a VIP viewing deck for your next event, or simply renovate your home. 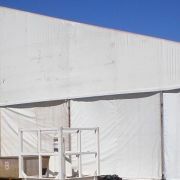 Reece's has a selection of large warehouse marquees and scaffolding providing protection from the elements. 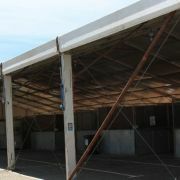 We can provide temporary and long-term storage solutions for rural and mining operations. 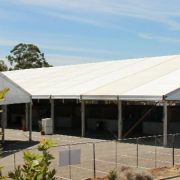 Our marquees are suitable for mine shutdowns, stock storage, large stockpile coverage and temporary manufacturing facilities. An ideal alternative for when you need additional storage space. 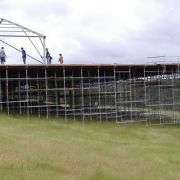 We also have qualified scaffolding staff who can assist you to cover or create levels for your next event or even to renovate your home. No job is to big or small for us. 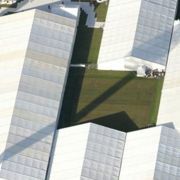 Just ask to speak to one of our scaffolding consultants today.